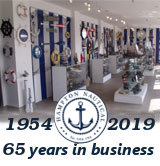 Deluxe Class White Wood and Chrome Ship Wheel Mirror 16"
This Deluxe Class White Wood and Chrome Ship Wheel Mirror 16" adds sophistication, style, and charm for those looking to enhance rooms with a nautical theme. 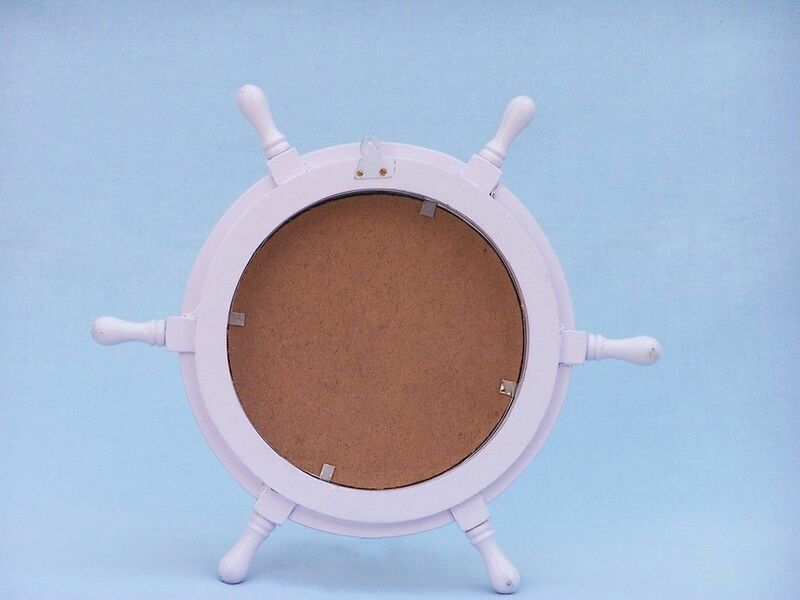 The replica ship wheel have been brilliantly converted into a fully functional nautical mirror. 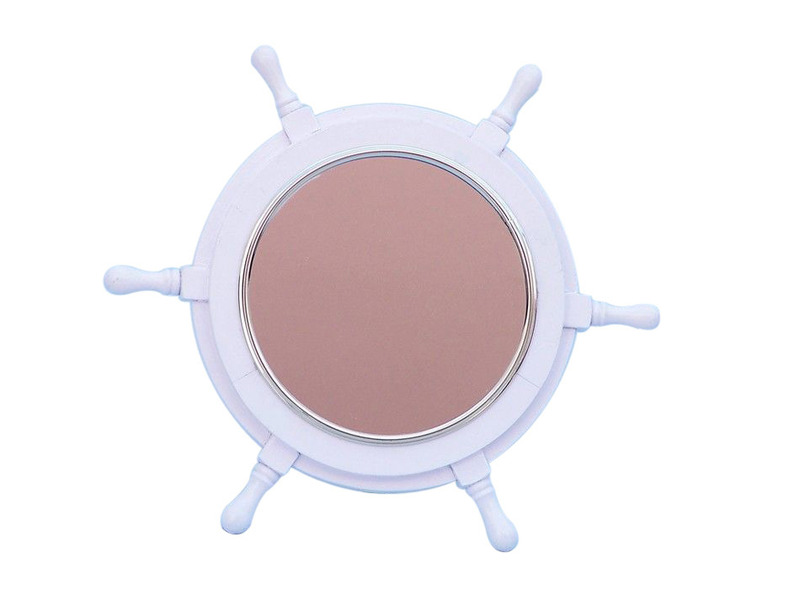 This unique design combines the nautical whitewash gloss finish with a chrome accent to bring out a true nautical masterpiece.